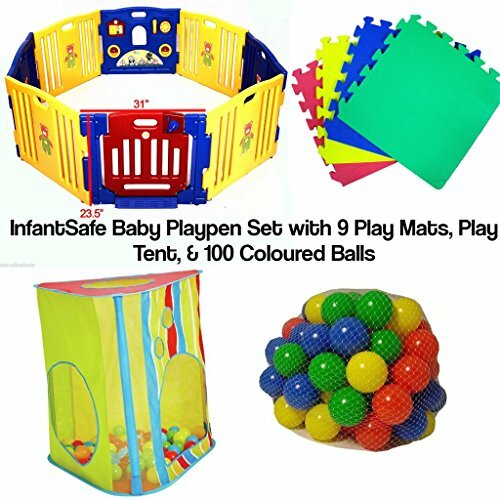 Great for encouraging active play, this colourful Playpen, Play Tent with Coloured Balls will provide hours of fun for your little adventurer. Ideal for playing inside or outdoors, the ball pit features two doors to crawl through, a peek-through mesh panel and lots of holes to post balls through. Plus, the ball pit assembles quickly and can be folded flat for compact storage.